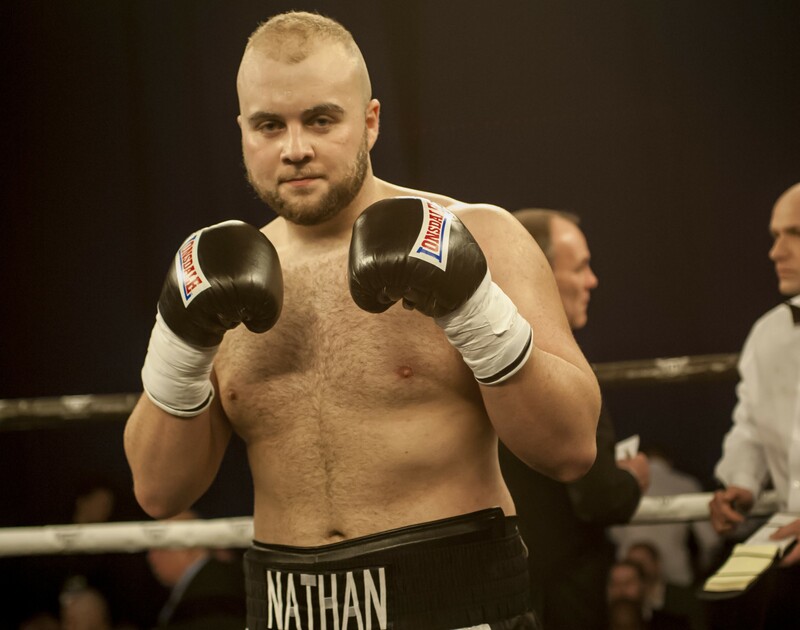 I’m standing by the ropes watching Nathan Gorman go through a sparring session, I won’t break the “what goes on in sparring stays in sparring rule” but I will go as far as to say Nathan was looking sharp, very sharp actually. With crisp quick jabs and hooks along with great movement I couldn’t help think he would cause all sorts of problems for most heavyweights out there just now and he was looking in good shape for his upcoming fight in June. After training we sat down to discuss opponents, working with Ricky and the comeback of Tyson Fury. First of all, Nathan admitted he didn’t know who he would be fighting on the 9th June at the moment. At only 21 Nathan is already ranked highly, I suggested to him that while he is probably not ready for the top fighters in the division he is still well ahead of where he should be at this stage. Trained by 2 weight world champion Ricky Hatton who also has Blain Younis and Mike Jackson in his team I asked about how things worked in the gym and how it compared to being in Sheffield with Team GB. Tyson Fury has been training in the gym recently and Nathan has been doing some sparring with him, he opened up on how the man who beat the man was doing. Having sparred both Fury and AJ, I wondered who Nathan would favour? I commented how good Nathan had looked in sparring earlier himself, with his fast hands and being pretty nimble on his feet. He explained how much he has improved since joining up with Hatton. Finally, we discussed the future, moving forward what would Nathan like to see happen in his career over the next 12 months. Nathan would like to thank the following sponsors who help him be able to train full time: Wimpey Morrison, Ground Zero Fitness, Sutton Surfacing, Morson Group, Oz Fit and Professional Finance Centre.